UPDATED B-Bets Casino Review! Get up to €1250 + 175 Free Spins when you sign up for a casino account today. B-Bets Casino is owned by Condor Limited and has a licence from Costa Rica. 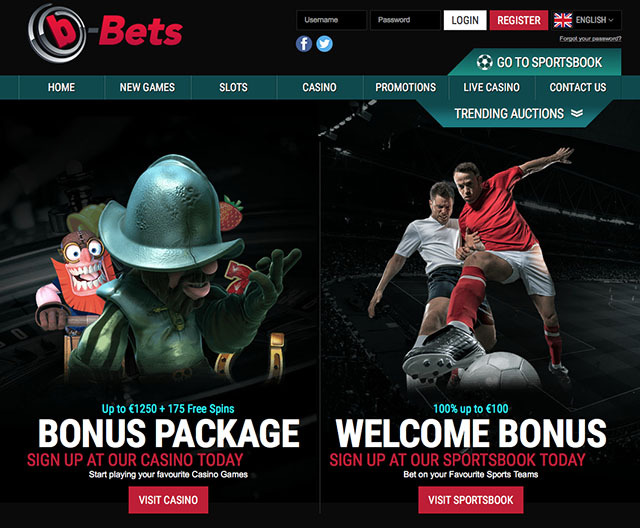 Sister NetEnt Casinos to B-Bets Casino include Casino Sieger and Rembrandt Casino. B-Bets features a large bouquet of games from Net Entertainment, MicroGaming, NYX NeXtGen. 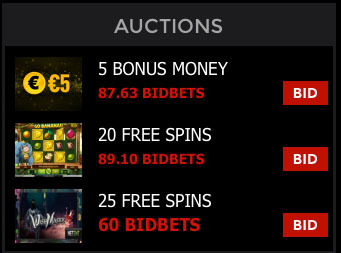 B-Bets Casino has a unique feature in that it has a full functional auction site that is an integral part of the casino. As you play you any game at B-Bets you acquire the BidBets currency which you can use to bid on free spins on selected games, bonus money, big deposit bonuses, no deposit bonuses & scratch cards. 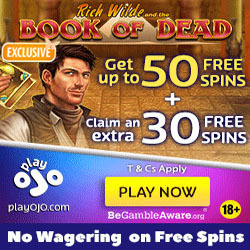 You will be credited with 25 Free Spins after you make your first deposit. Thereafter, for the next 7 consecutive days, you will receive 25 Free Spins each per day, totalling up to 175 Free Spins. Log into your account each day to claim your 25 Free Spins. 1. Players from the following countries may not get any bonuses or play at the casino: Bulgaria, all countries outside the European Union, Czech Republic, Croatia, Estonia, Hungary, Italy, Latvia, Lithuania, Poland, Romania, Slovakia, Spain. 2. The wagering requirements are 30x on the combined deposit and bonus.